Shown with grey 60-Series lid. The clear 50-Series lids are no longer available. This chamber is no longer being sold with the lid that fits the System One 50-Series machines. Water chamber for the Phillips Respironics System One 60 Series Heated Humidifiers. *** Please Note - This chamber was previously packaged with two different lids. The clear lid was for the 50 series machines and the dark grey lid was for the newer 60 series machines. Since Philips Respironics is no longer supporting the 50-series, they are no longer shipping that lid with the humidifiers and it is not available separately. If you have a 50-series CPAP machine, keep the lid from the old chamber and switch it over to the new one. The bottom is the same for either platform. Good as the original and lowest price. What more can you say? Great products, great price and great service! Really lucked out finding this company online. Always have what I need. Great customer service and fair prices. Shipping is prompt. Highly recommend. This item appears different to the original, but it fit perfectly. The delivery was great and so was the price. I could not be more satisfied. I really appreciate the quality and operation I have experienced with this product. The first nights sleep was much better and quieter than my previous reservoir. Thankyou for a great product. I will be using your service again when needed for other CPAP products. Very satisfied with the product and delivery time. Very pleased with the product - exactly what I needed, arrived sooner than I expected and in perfect condition. Will use this site again for future needs. Fit perfect and not problems. Will order another so I can rotate them in and out of service. Exactly what I was looking for. Great price! Fast shipping! Works as advertised. "Infact, I'm ordering an additional one as a spare"! My order was taken over the phone and shipped immediately. The water chamber arrived promptly and was exactly as advertised. It looked exactly like my old chamber and fit my respirator completely and works exactly as the original did. I am completely satisfied with all aspects (price/timeliness of order/ease of replacement/etc.) of this transaction. My old reservoir broke , so I did an internet search instead of going back to my local sleep center . The replacement was a perfect fit . Bought it for a good price . It came with fast delivery . Very satisfied . Received the tank and hose as expected. Shipping was quick. Will this company again. Fantastic price & exact replacement parts, works like the original. I am very happy w/ this product! Thanks! Received item before expected delivery date. Exact replacement for my needs. Love this just what I was looking for serves both Cpaps we currently have in stock. A: Yes but Respironics made a 50 series and a 60 series humidifier. Both the 50 and 60 series use the same bottom portion of the tank but the lids are different. They used to package both lids with the bottom but now they only include the 60 series lid (brown lid). 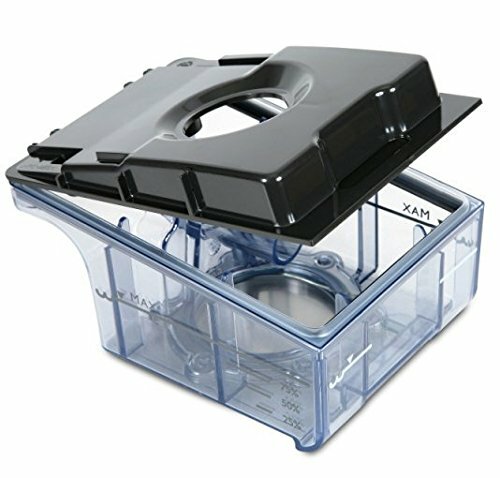 If you have the 50 series (clear lid) you will need to keep your existing lid and reuse it with the bottom of this one. They no longer produce the clear lid. Foam Filters for the M-Series / System One / SleepEasy CPAP and BiPAP machines.